Check out this desk from Trillium Park Designs​! "Finally...out of the basement and into some natural light! 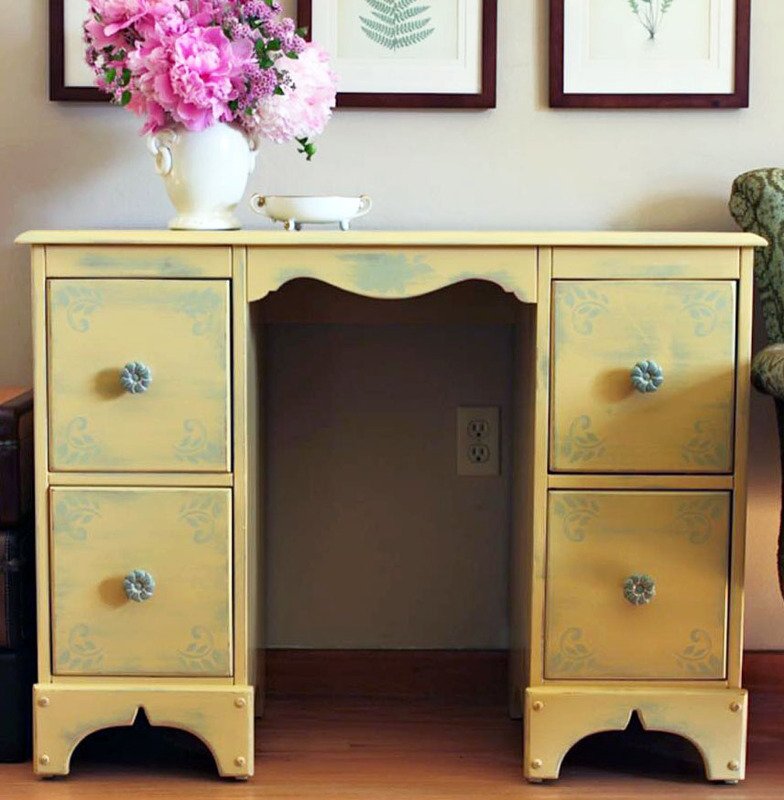 Painted in a Calcium Carbonate sage green with General Finishes Somerset Gold Milk Paint topcoat. A little stenciling and a lot of distressing for an Old World feel!"